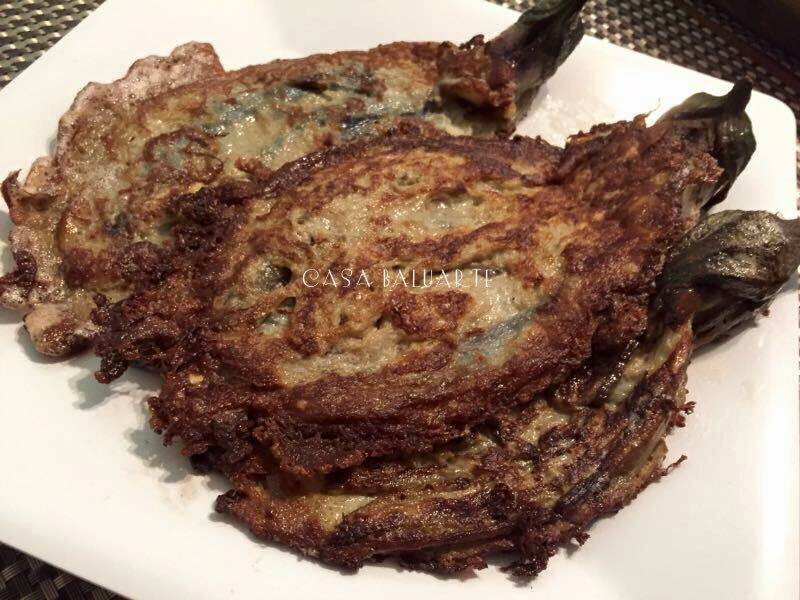 Tortang Talong or Eggplant Omelette is one of my favorite side dish serve with lots of banana ketchup. Heat wide pan and add cooking oil in medium low heat. Beat egg, corn starch, ground pepper and salt in a shallow bowl. Using the back of the fork, flatten eggplant but make sure to leave the stem. Dip eggplant into the egg mixture one by one and cook for about 2 minutes on each side or till golden brown. Serve with lots of banana ketchup on the side.